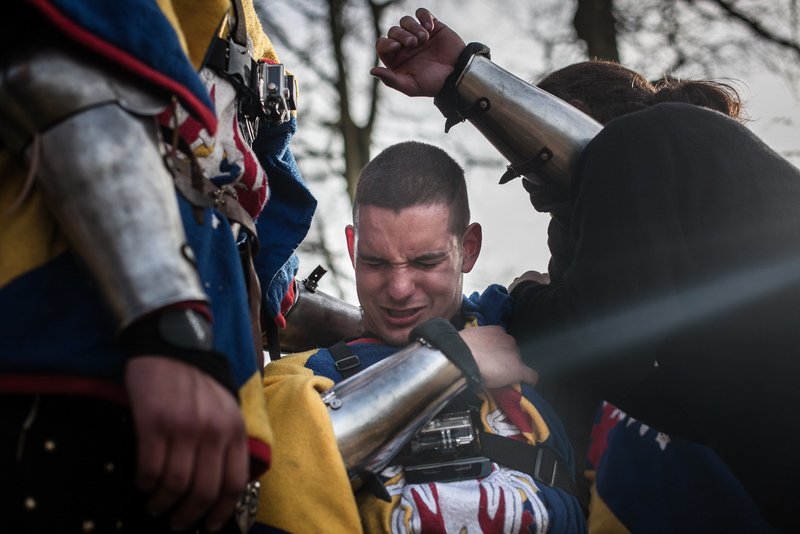 “During a fight, we hit it in full load, using our swords (not sharp), our feet, our fists, our shields … At first, some fighters are afraid to hurt their opponent, but this is a mistake because when you are protected inside your armour, no one will have pity on you.”Pierre-Yves, 24 years old, speaks with full knowledge of the facts. 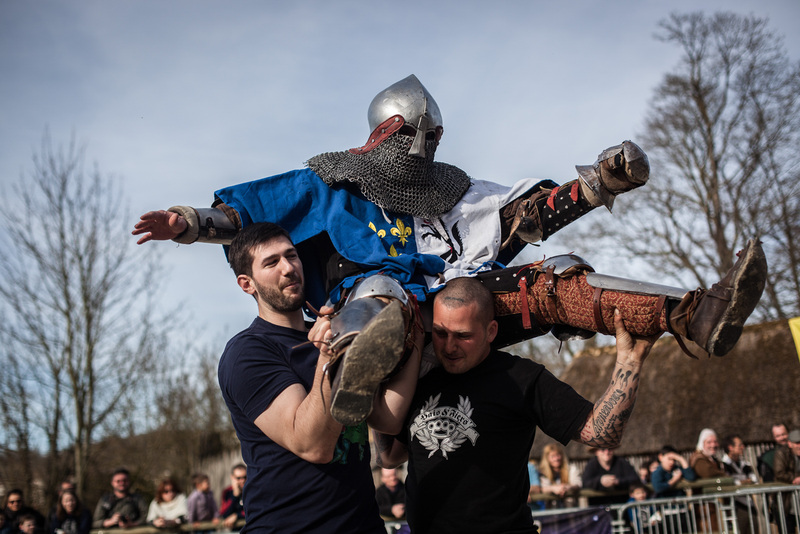 Member of medieval full contact, a sport that brings back the days of knighthood tournaments like there were during the Middle Ages, he often crossed swords with experienced fighters without misgiving. 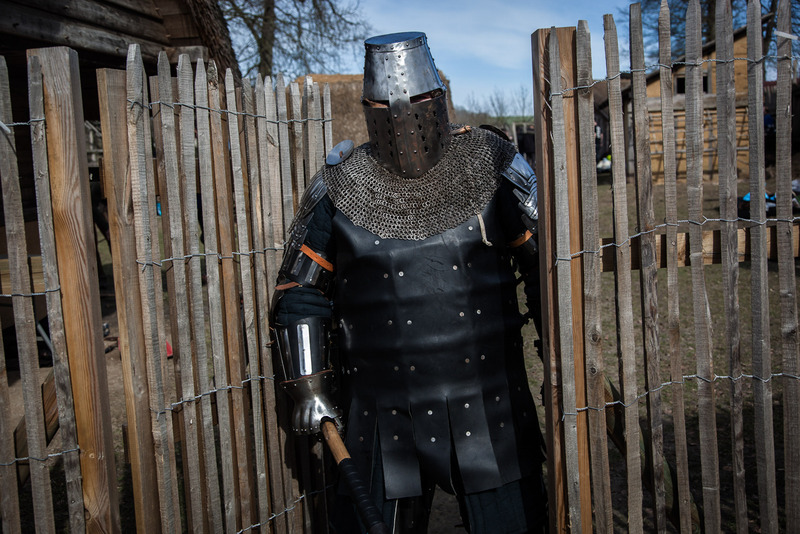 “During a match, I received several axe’s knocks on my helmet and my neck that knocked me down”, he said, showing us his great helm completely dented. 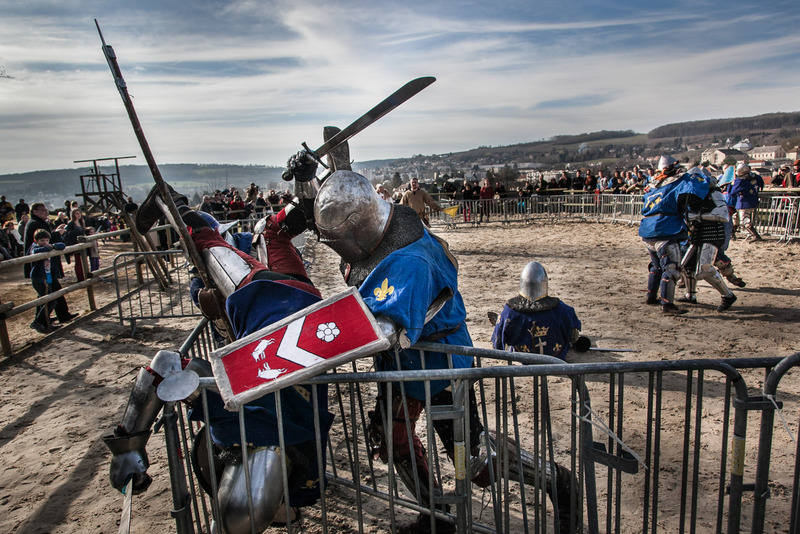 Interested in medieval history and battles stories, Pierre-Yves came in Chateau-Thierry, north of France, to fight with 80 other competitors during the most important championship in the country. 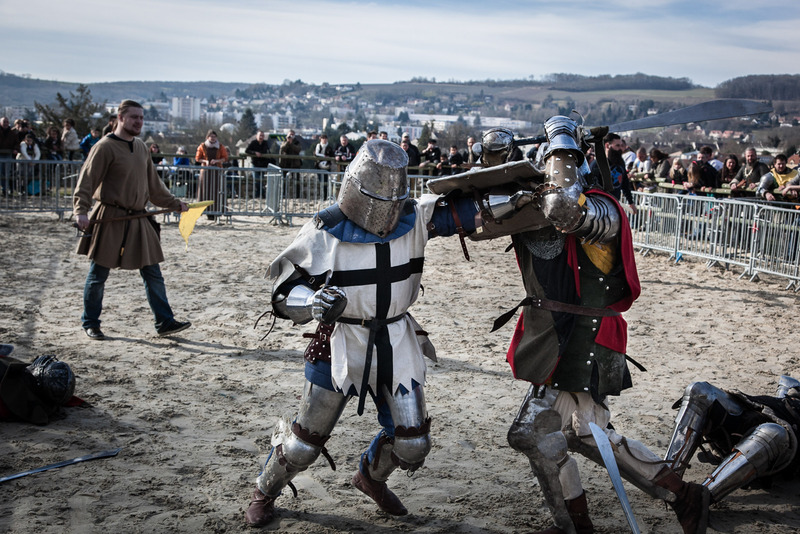 All are enthusiasts of medieval full contact, a new sport that mixes martial arts and historical reenactment. 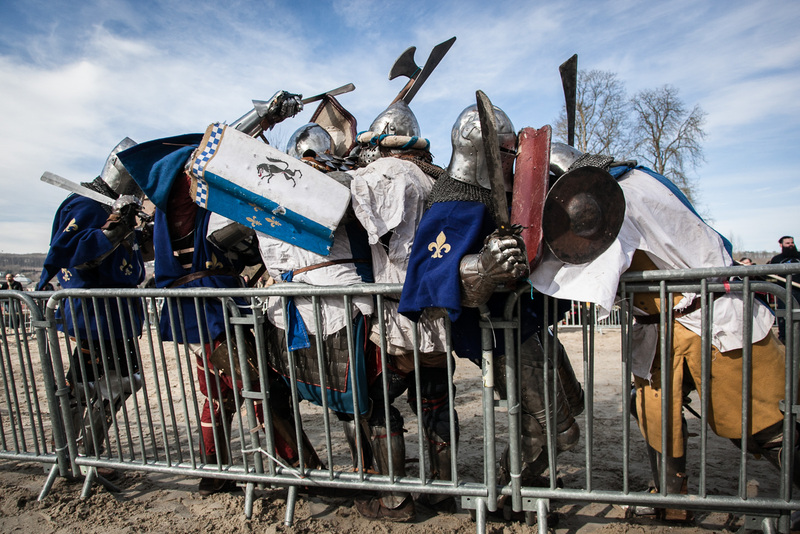 Fighters who wear armours, shields, helmets, swords or axes, beat like 600 years ago. No holds barred to hit his opponent and knock him over. “We do not pretend. There is no interpretation or staging. 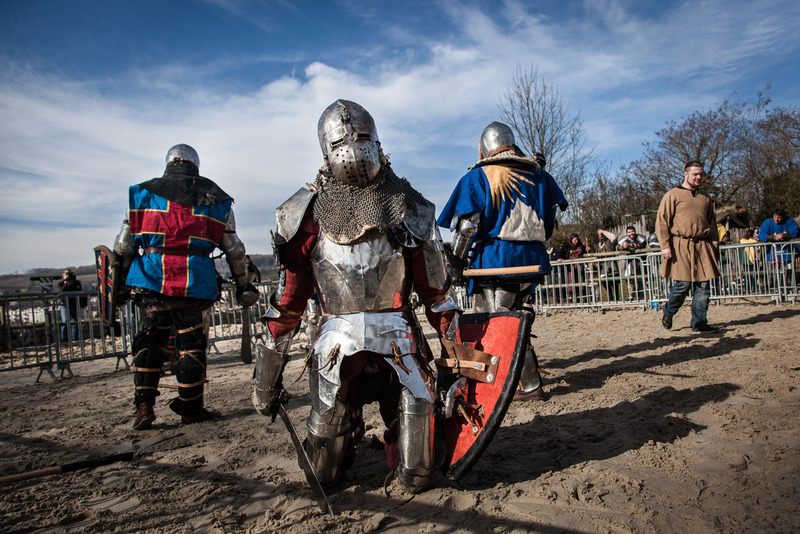 In the Middle Ages, knights regularly went to tournaments when there is no war. 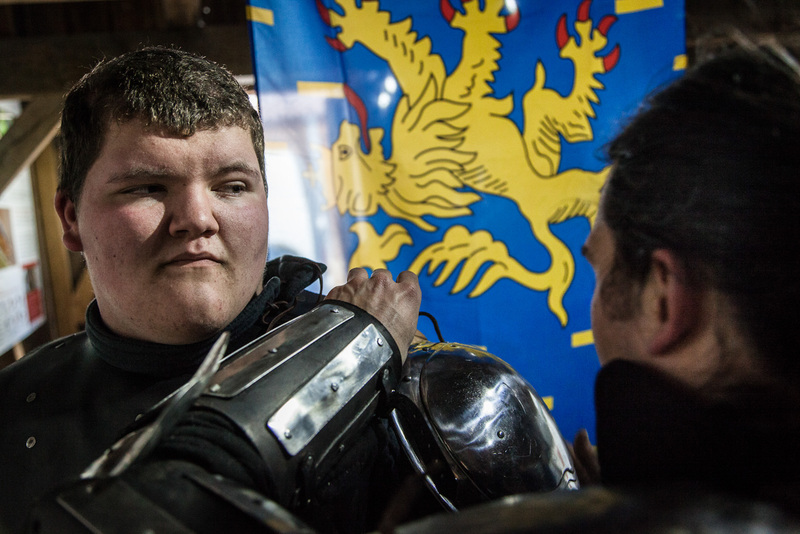 They showed their bravery and their fortitude. 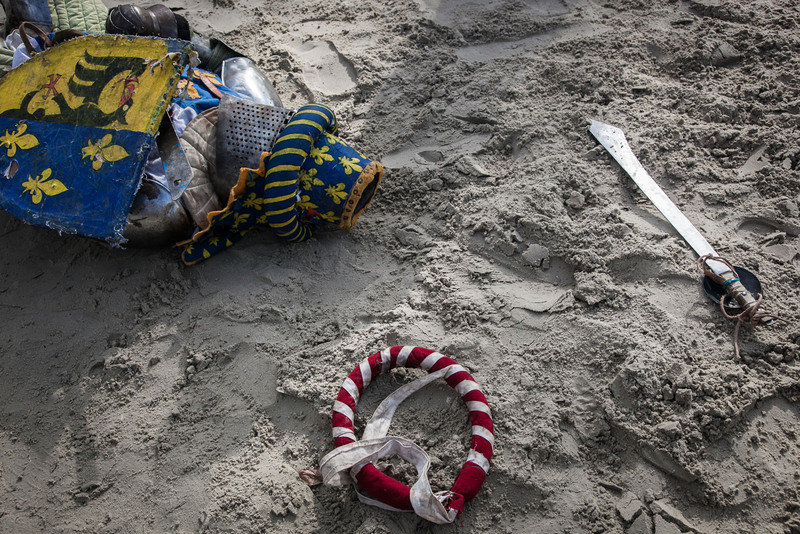 Five hundred years later, we are tryring to revive this tradition”. 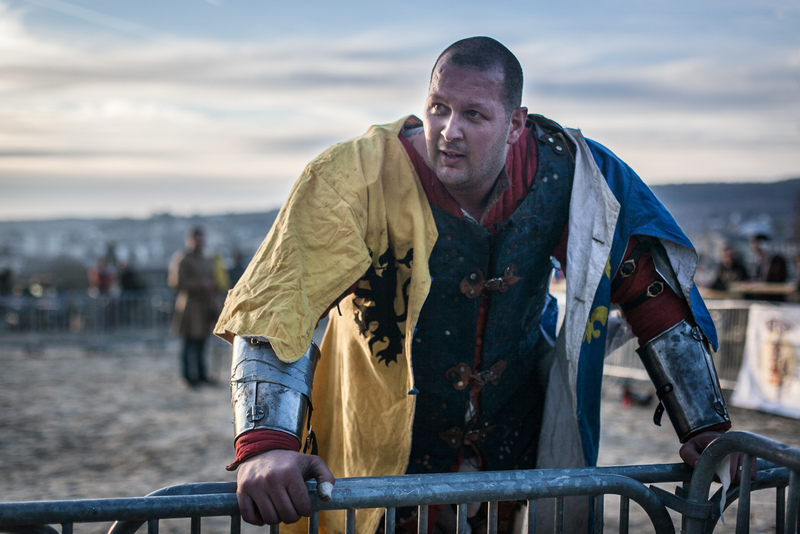 A participant of a medieval full-contact tournament is preparing for battle. It takes on average 20 minutes to get ready. 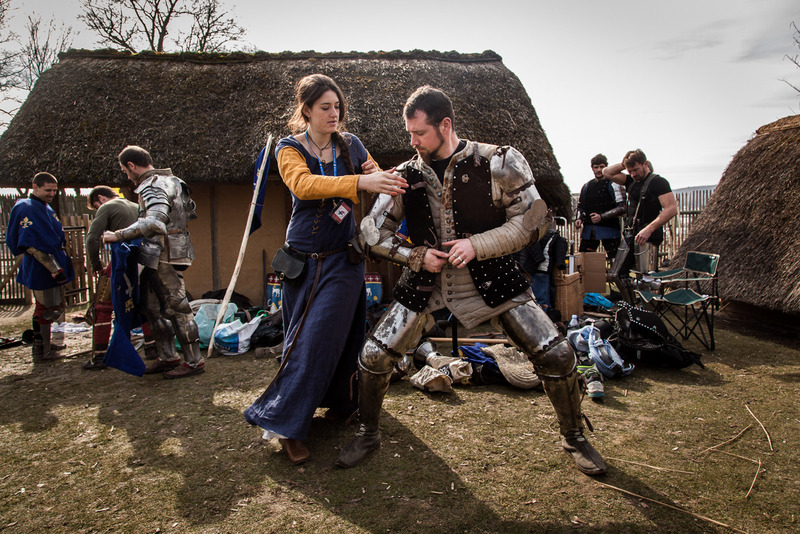 A referee of full-contact medieval tournament checks that the weapons are coform. 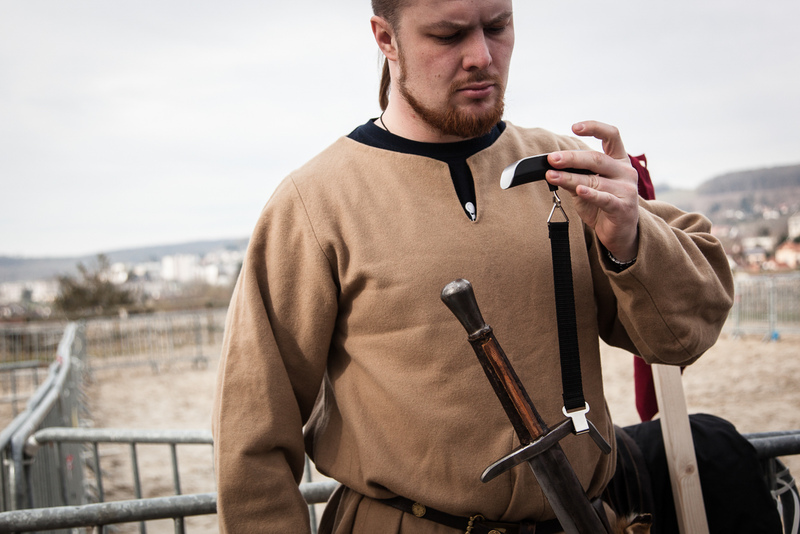 They should not be sharp and comply with a maximum weight. 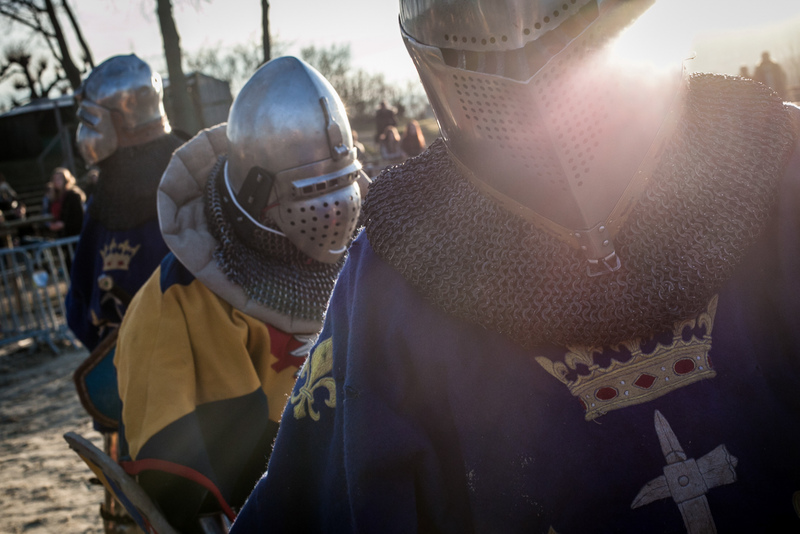 medieval full contact tournament. No holds barred, fighters compete in teams or individually. 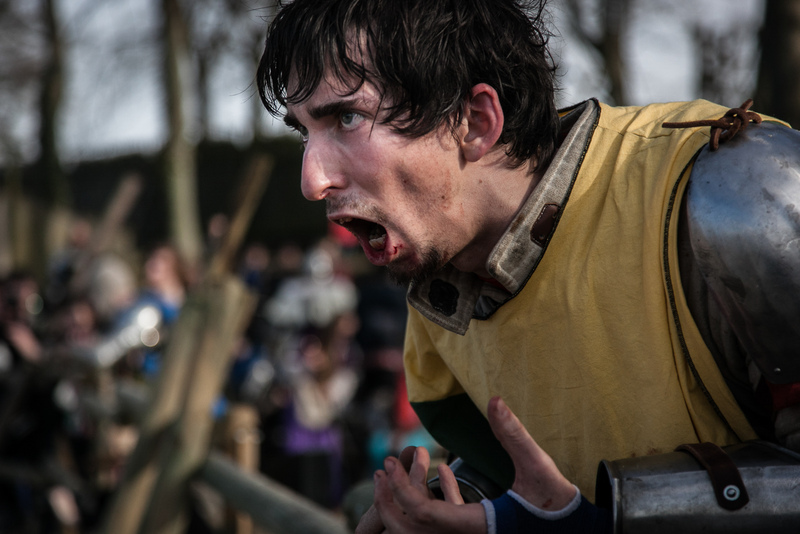 The rules are simple: each combatant must stop fighting from the moment he puts on one knee. 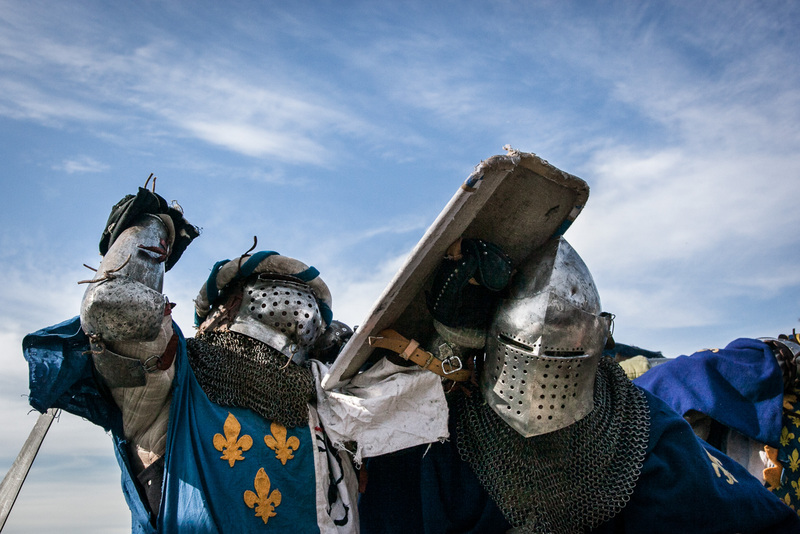 medieval full contact tournament. No holds barred, fighters compete in teams or individually. 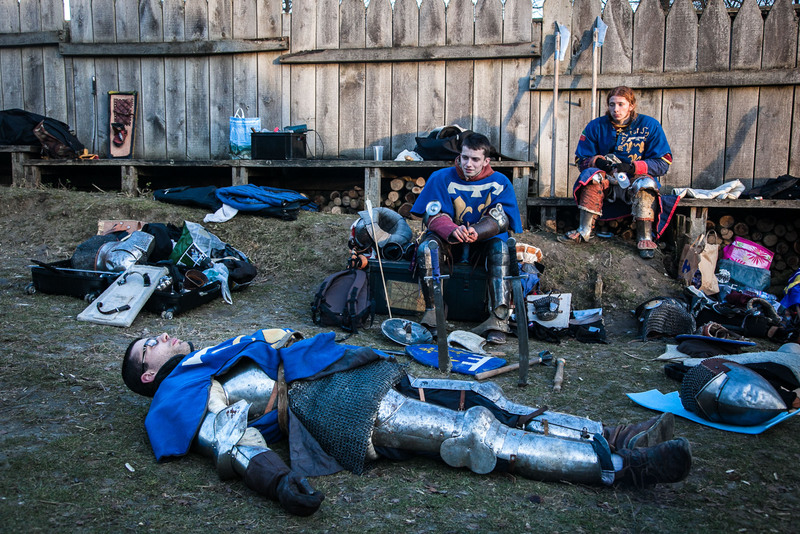 The rules are simple: each combatant must stop fighting from the moment he puts on one knee. 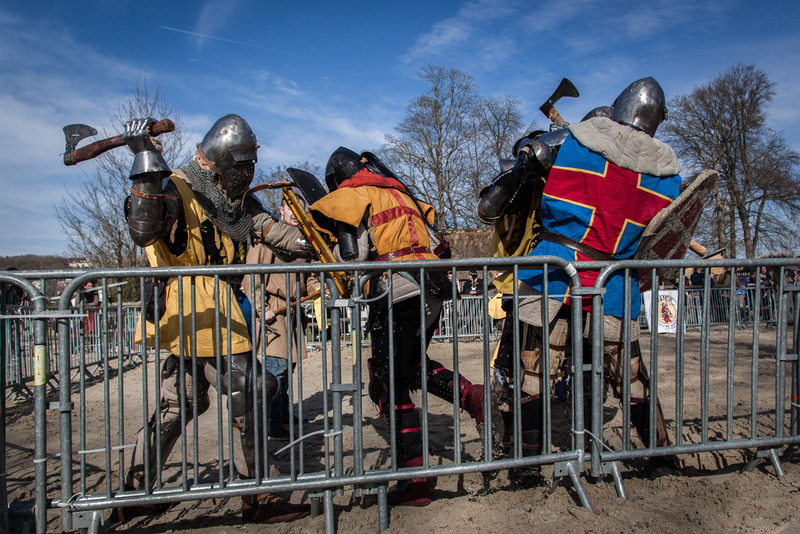 One of the participants dislocated his shoulder during a fight.